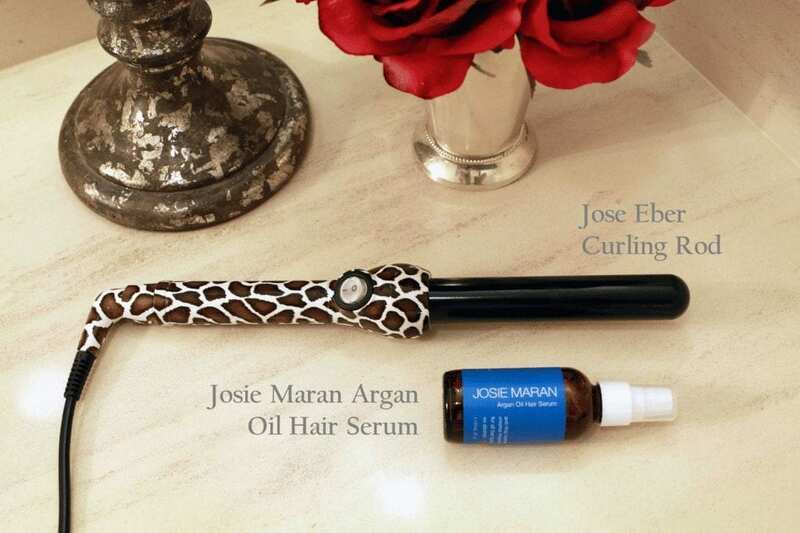 To make the big bombshell curls, I used my Jose Eber Curling Rod and Josie Maran Argan Oil Hair Serum. 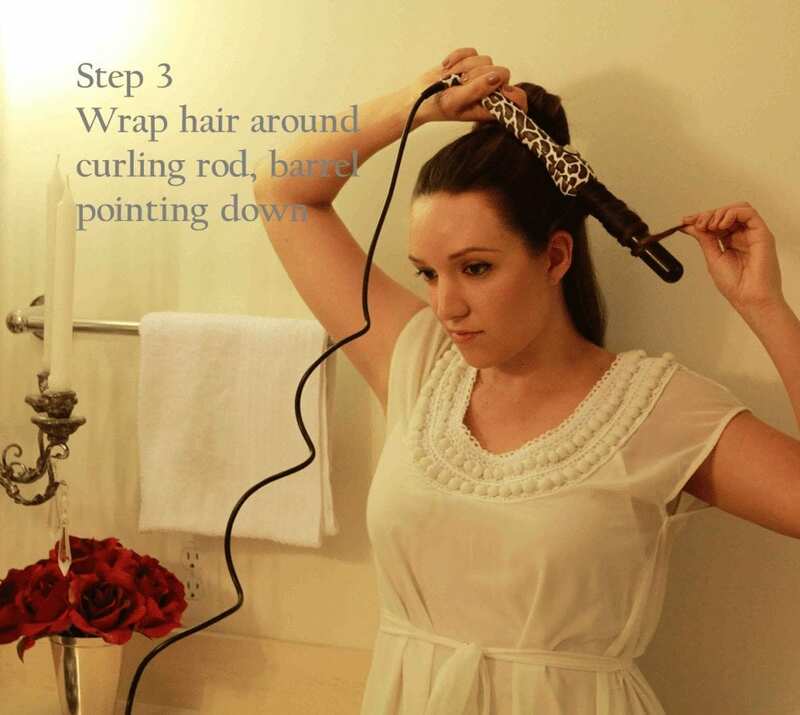 I prefer these newer curling rods to the traditional clamp curling irons because they don’t leave a crimp in your hair and–I don’t know how they do it but–this curling rod keeps my curls intact for days….DAYS! And that’s without any hairspray. Let’s get straight into the how-to…. 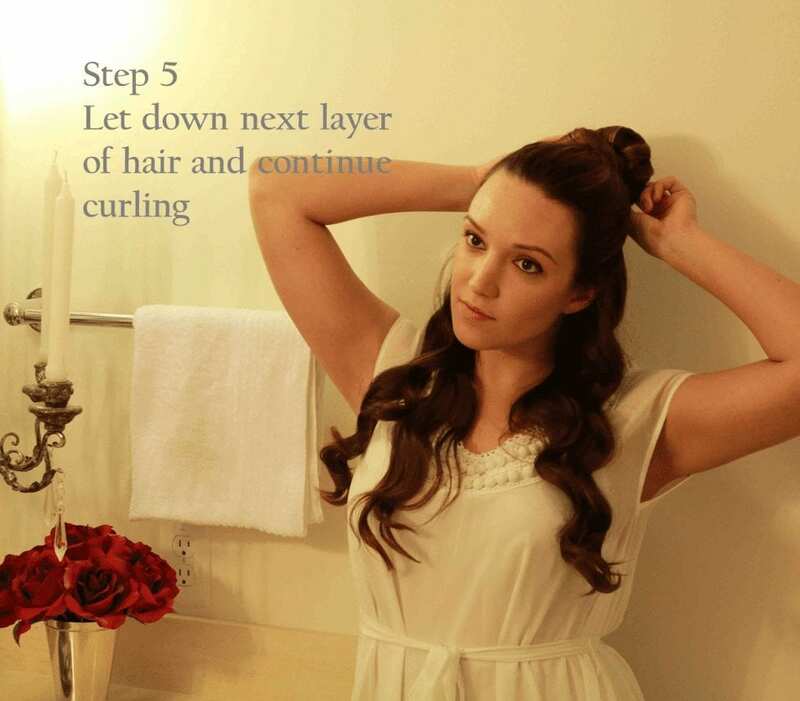 Step 2: Once hair is dry, section off the bottom layer to begin curling your hair. I have thick hair so I prefer using smaller, more manageable sections to work with. 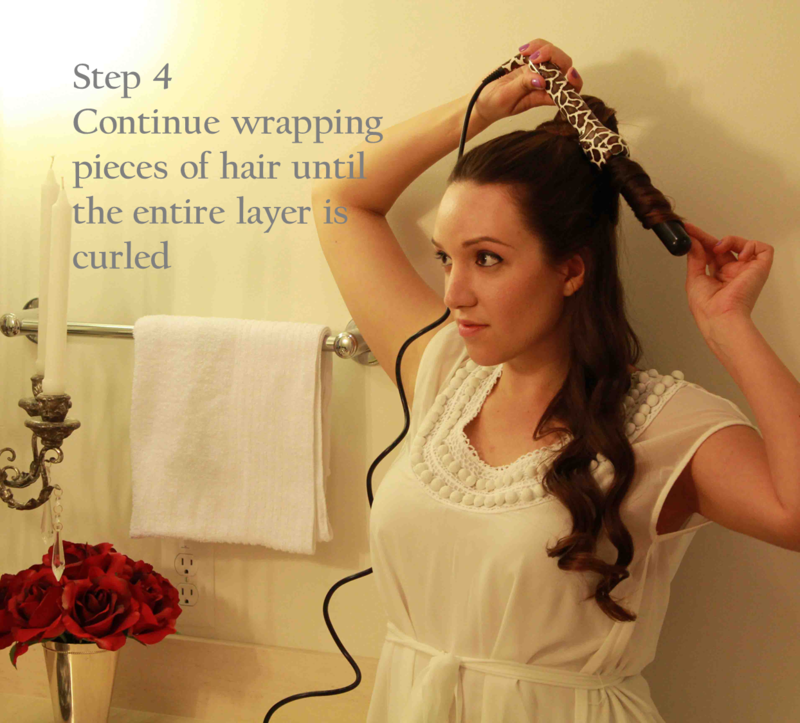 Step 4: Continue wrapping and curling pieces of hair until the entire layer is curled. Step 5: Once the entire first layer is curled, let down the next layer of hair and continue the wrapping and curling process. Remember to hold the hair around the barrel for approximately 10 seconds and carefully release it until cooled. 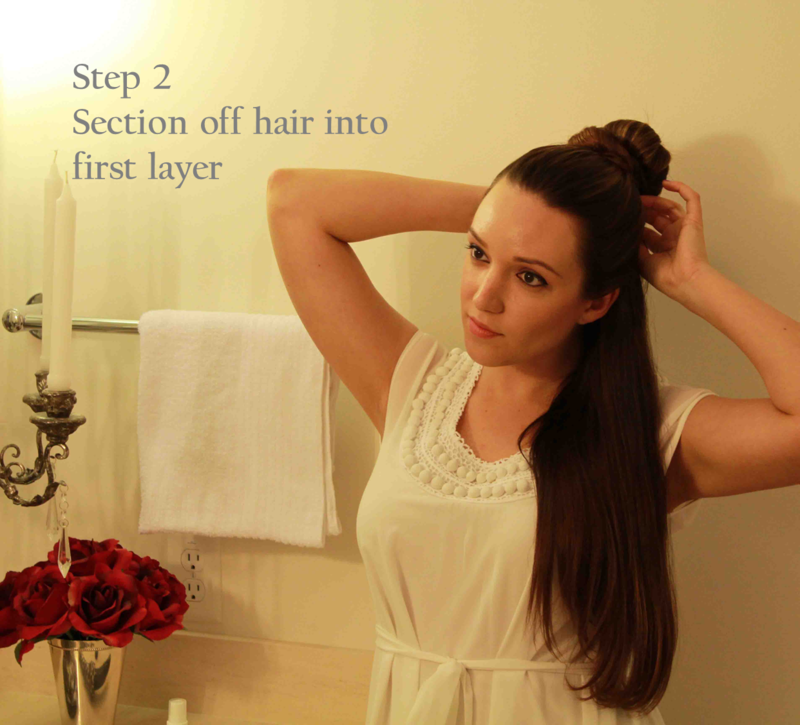 Step 6: For the very last pieces of hair at the top of my head, I like to wrap the hair by pulling straight up (as opposed to the left or right) to help add a little extra volume and lift at the roots. Et voila! 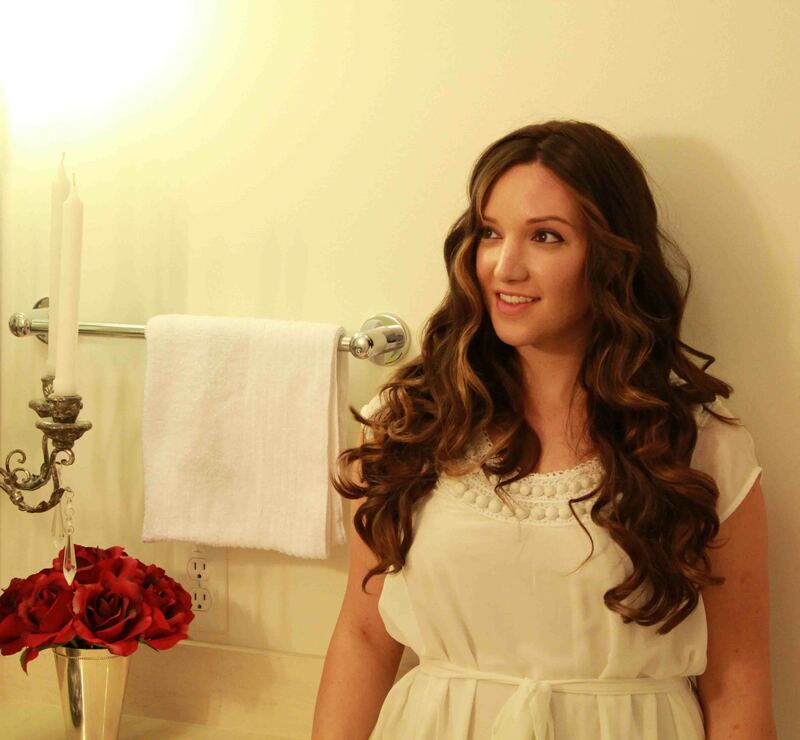 You have achieved some pretty awesome bombshell curls, lady. Personally, this is a bit too ‘perfect’ and ‘done’ for me so I like to go one step further to achieve Victoria Secret Angel-esque bombshell curls… Let’s continue. 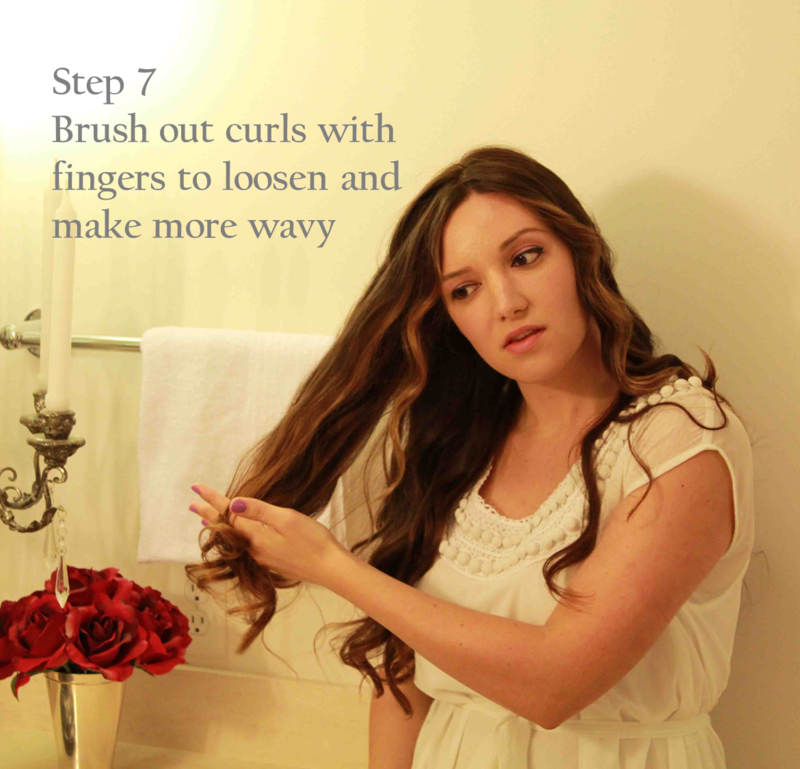 Step 7: If you are looking for a looser curled look, I like to run my fingers through the curl to help soften them up and give a more natural look. Don’t worry about your curls falling out from running your fingers through your hair…they will last for DAYS! And there you go! Feel free to finish your bombshell curls off with hairspray or other product but I find that the curl lasts without anything at all. Gorgeous curls that will last for days? Count me in! 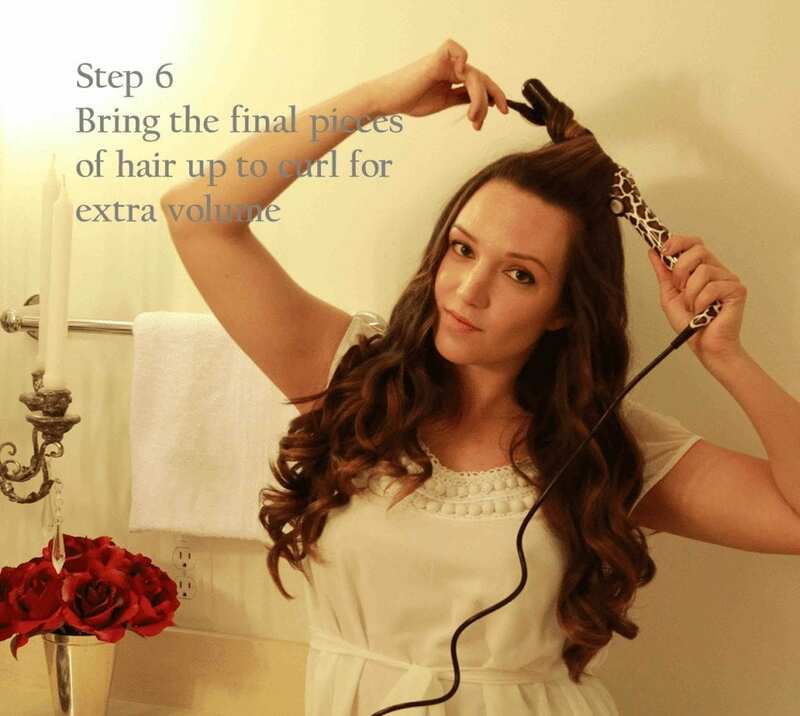 Hope you enjoyed this hair tutorial! 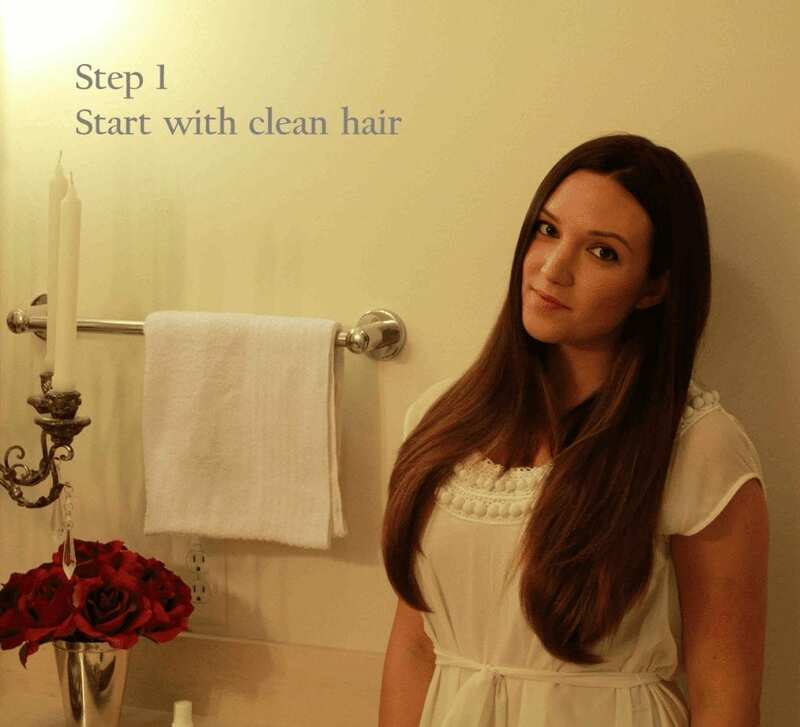 Your hair is definitely long enough to do this! 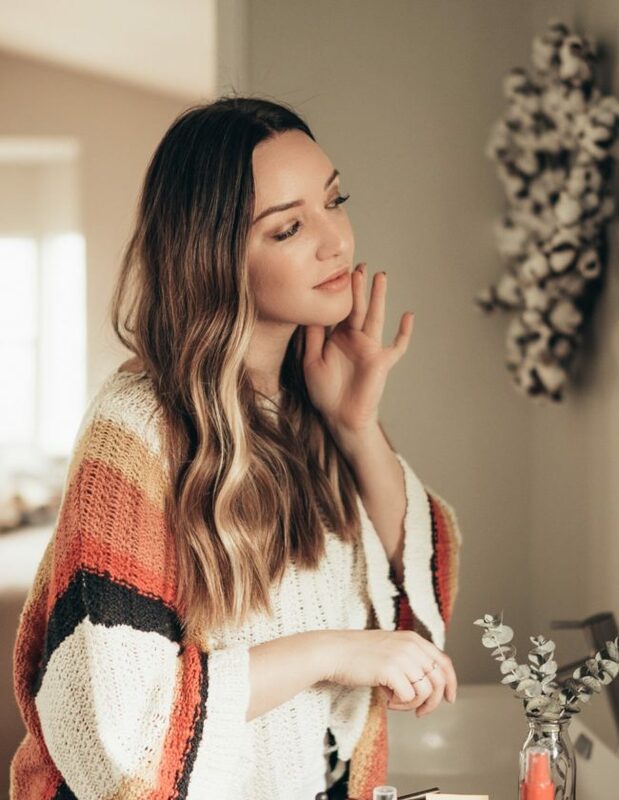 You might consider not brushing it out once curled to avoid too much volume at the ends but I think it would look great on you! Very pretty! You make this look so easy – guess it comes with practice cause it does not look this good when I try. Don’t worry, you’ll get the hang of it! 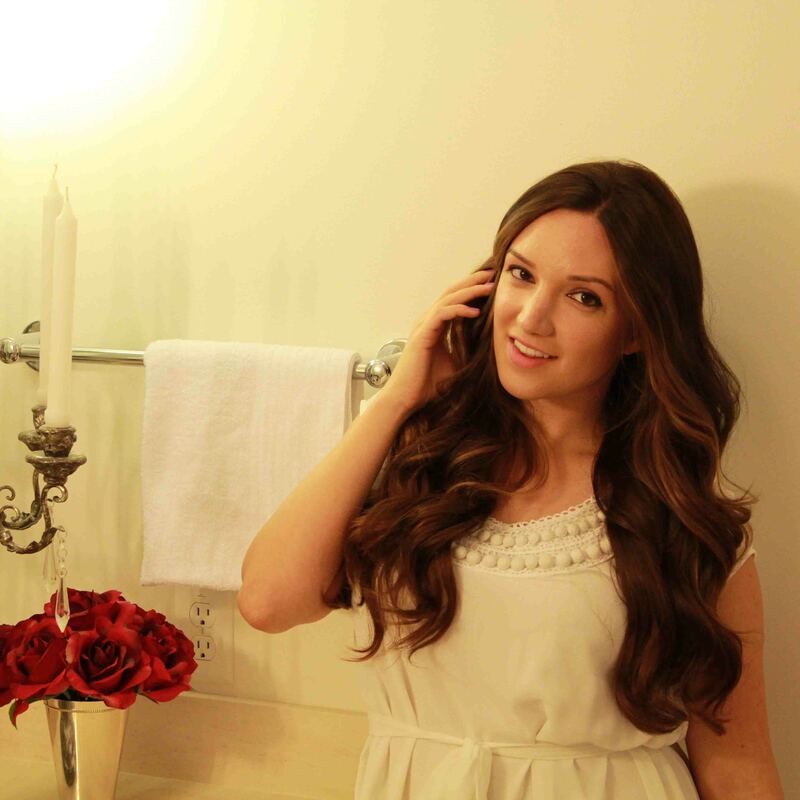 The clip-less curling rod is a little tricky to use at first but with some practice it creates great results! I have naturally wavy hair. Could I still do this? Absolutely! Give it a try and tweet me a picture!